(Or probably anyone who has been more active around here than I have...) Thanks for sharing my post to "OppositeBlog"! :) What did I miss, and where is this "OppositeBlog"? If I can manage to process these pictures into JPEGs, you can have more examples of British Day at Redmond Town Center. A few mediocre photos to follow, hopefully tomorrow. ...Say hi if you're there too. I'll be in a black t-shirt w/Martini livery and likely a red hoodie. Be there in an hour. This is cool AND it has the Rally Fighter on it. Who's going to Redmond this weekend? Anyone from south of the 'Sound? I have recently discovered that British cars will be there in abundance. ...all from California. What's going on? They all looked really nice. Wasn't sure if some crazy Doctor Who stuff happened and they came from a different point in time. I'm sure it's been posted a thousand times. But here it is again. Because rally. 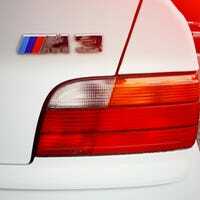 And because E36 <3. Opponaut in need of mobile wallpapers! My phone reset itself to factory (YAY.) so I lost all my mobile manifold and mobile-friendy WRC wallpapers. I'm too busy to spend the workday looking for new ones. Halp! Kindness will be rewarded with sincere thanks and dogecoins if you like that sort of thing. Wife called because she was at K-Mart (we don't have one very close to us) and wanted to see if there was any special Hot Wheels to look for. KEEPER! Steam Summer Sale has met its match. iRacing offered me 50% off a 1-year sub to come back. Shut up and take my money, iRacing. I stopped at Fred Meyer tonight on the way home, and I'd never seen the Ferrari The Ferrari before, so I grabbed that and figured I might as well get the F12 as well, since it was there. Also pictured is the fantastic LEGO set I got for my birthday from a co-worked last week. Super sweet. Dear Steam Summer Sale, a hate haiku collection. And by get well, I mean have all your bones replaced by some sort of sci-fi superstrong skeleton. We love you, whether your internals are robot or human or cyborg. Happy that Audi pulled out a win, but I feel bad for Porsche. That was a great race.